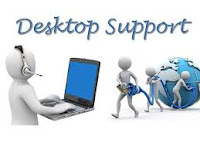 Knowledge of Desktop OS installation, setup & Troubleshooting. Other standard packages like MS office, Adobe pdf writer etc. How to connect clients to windows domain.